Looking for ghost party ideas that are cute, not creepy? Our Halloween party balloons feature two ghostly themes and shapes , the perfect way to really get into the spirit of things. Whether you're looking for ideas for your ghost-themed celebration or for entertaining the kids at a Halloween party, you will find these balloons awe-inspiring! Important information: 4 pieces in a pack , Ghost & Spoooky Cat Shapes & Printed. 56cm / 22 inches in height, Pastel White and Orange Color Assortments*, Volume 8.5 Litres, with Floating Time of 13 hours**. 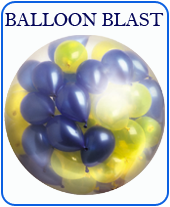 Do not expose balloons to extreme heat or over inflate or they can burst.